You can find the german version of this post here! The year is ending and at the turn of the year I feel it is getting quieter, emptier and calmer. I always enjoy this time very much, especially after the full Christmas days. I then take time for myself and reflect on the year I spent. Much has happened this time and I have experienced and achieved so much. I started this blog, completed a Trainer*innen program, organized two seminars and held two, designed a workshop and the Feminine Power Retreat, got to know many new people, cultivated relationships, completed my work in the students‘ innovation centre, took the courageous step of quitting my job to complete my studies and so much more. This year I wrote some questions down for reflecting this past year in order to remember better and look back more clearly. If you still want to recollect your thoughts over the next few days, you can download my questions here: Reflecting Questions for the turn of the year! I also carried out my experiments throughout the year in order to gradually implement the habits I wanted to establish for myself. Sometimes it worked better and sometimes it worked less, but that’s exactly what the experiments were all about. My Summary, my ZeroWaste-Glass Challenge and a short post about the „sugar-free„-experiment, which I will try together with my dear friend Eva for a longer time next year, you can read once again here (still in german). Also for this year I’m going to do more experiments like this again, but this time in a two-month rhythm, because the variety and the fast changes between the big tasks have overwhelmed me last time around. I start the new year with a new evening rhythm and would like to start a morning ritual in March. A month full of creativity, time in the fresh air and reading material follows. The last month (November) I left open in order to be able to respond to impulses from the upcoming year. 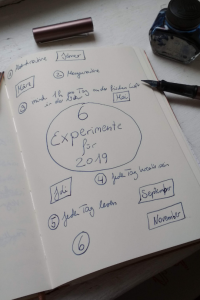 If you want to start your own experiments, I can highly recommend you make a list of habits, challenges and resolutions that you would like to implement in the new year, then select six of them and concentrate on them for one month each. In the following empty month you can either continue to focus on the experiment or let it expire. Depending on how you felt about the change. 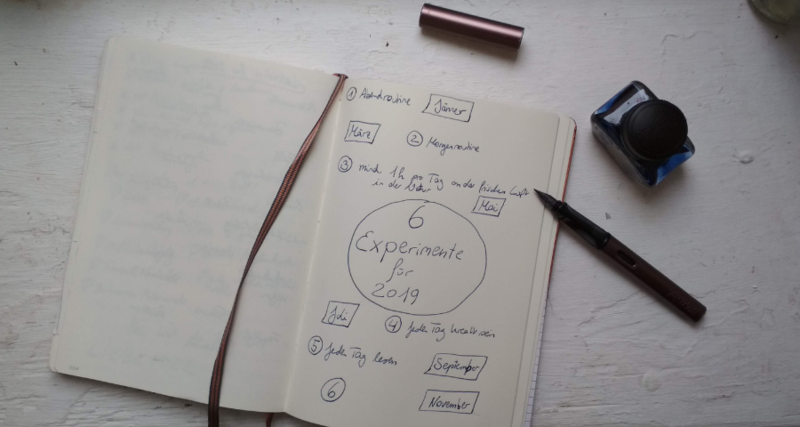 Of course you are also welcome to join my experiments or get inspired by the 2018 experiments. Tag me on Instagram at @marolenas_stimme and share your insights! Here you should write down what the evenings/the morning have been like so far and how you would like these times to feel. Then you list all things that have to happen in the evening/morning in one column “ Have to be done“ and in a second column „I want to do“ you write down the topics you would like to do and then write down the approximate duration of the tasks for both columns. Then you circle the points you want to have in your rhythm and put them in an order. At least one point from the column „I want to do“ should be included. 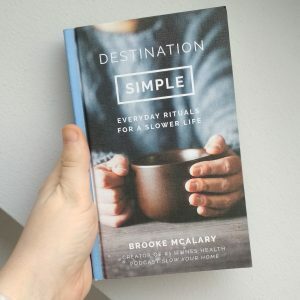 Brooke then suggests that you first stick to the sequence and, if necessary, change the order if some things make more sense together (for example washing your face and brushing your teeth). go to bed at 10:30 pm. Since I usually spend very irregular days, I am already curious, how exactly I can stick to the routine and which effects exceptions have on the experience! In any case, I am very much looking forward to the coming year that I would like to create „lovingly“ in the sense of my word of the year! I wish you all a happy new year and an exciting, joyful, warm, successful year filled with love and friendship! *Disclaimer: Advertising, because linked pages/products – not sponsored!